Shower drain covers can get rusty and covered in soap scum. When the drain to your shower starts to look bad, use this guide to learn how to replace a shower drain cover. ​​There are a few different types of drain covers you will encounter. This guide mainly focuses on a simple shower drain grated cover. This is type which is a flat metal piece that lays flat over the drain cover. This specific cover is held into place by two to four screws. Some bathtub drain covers are classified as screw on covers, which you can easily turn to remove. There are also some types that require you to lift and loosen screws hidden below the drain cover. ​Even if you are not removing a grated drain cover, you can still follow this guide. We will discuss how to clean under the drain cover, as well as how to ​clean the shower itself. This is an important maintenance step to help keep your shower drain working and lower your risk of clogging. Just like removing a shower head, you want to follow the instructions closely, as you're dealing with plumbing and don't want to leave behind a leak. ​Bonus: while you're taking apart your drain cover, consider making an upgrade to your shower. Nowadays, you can find a ​good handheld shower head for relaxing​ that is affordable and high in quality. If however, you prefer a more spa-like experience, you can always opt for a rainfall shower head. ​​​Removing a drain cover is a quick and easy job you can do without needing any experience or calling on a plumber to help. Before you begin, there are a few tools and materials you will want to have within reach to make this job easier. The resealable bag or plastic tray is to hold the small screws and drain cover, so nothing slips and falls down the open drain. You will want to have a folded washcloth to cover up the drain grate while you are removing or replace screws. Finally, the trash can is in case you need to pull out a clog in the drain, which we will cover after you have successfully taken the drain cover off. ​Now that you have your tools, you can begin to take the cover off. 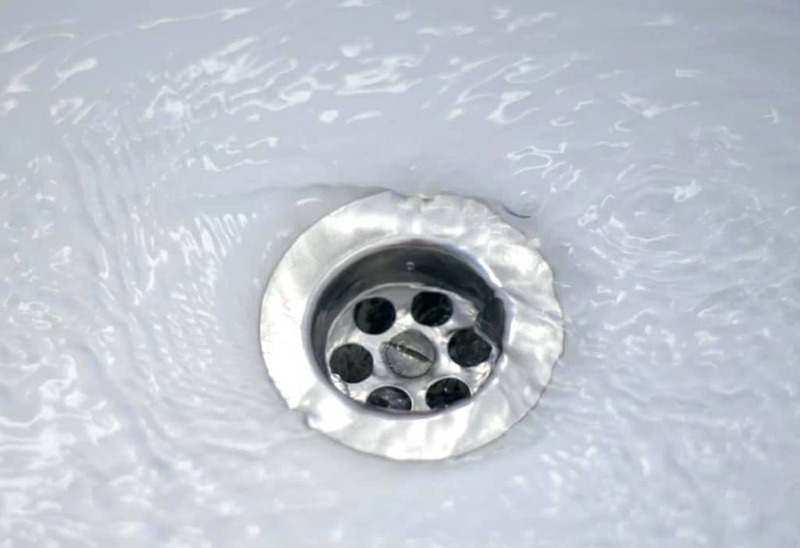 Follow these step-by-step instructions to remove the drain cover. Fold a small washcloth in a rectangle shape to cover the grate while leaving the sides open for easy access to the screws. Use a Phillips screwdriver to remove each screw around the grate. Place the screws in a resealable bag or tray so they don’t get lost or fall down the open drain. ​Remove the washcloth and set it to the side. Place the tip of the screwdriver in one of the grates and use it to pop up and lift the drain cover. Now that the drain cover is off, it is important you take the time to clean the open drain before you put on a new cover. While you're at it, might as well ​check the shower floors for other repairs and cleaning. This way you can keep your shower drain clean and free from possible buildup. ​Depending on your bathroom floor surface, you might or might not have to be overly careful during this process. If you have tile flooring in your bathroom, then it won't really matter if you get it wet with dirt and debris. ​However, if you have a different type of bathroom flooring, be careful not to get too much moisture on it, as it can have adverse effects. ​​This step should not be skipped, even if your drain isn’t clogged. Since you have the drain cover off, it is ​now a good idea to clean your shower drain trap. First, put on a latex or rubber glove and reach into your drain. You are feeling for any clumps of hair and soap scum. As gross as this can seem, sometimes hair will mix with grime and get stuck in the top of your drain pipes. If left to accumulate, you will start to notice your shower isn’t draining the water properly. The next thing you know, you are standing in a puddle as you are holding your shower head singing at the top of your lungs. Once you have pulled up all clogs or any within your reach, you can grab a ​Vastar Drain Snake and run it down the hole. It is about a foot long, plastic, and bendable stick with barbs running up and down the sides. The barbs will catch hold of any clumps of hair or build up and keep it ensnared. You can pull these clumps to the top and out the drain with ease. Toss any gross findings into the trash can. To make sure you are getting it all, send the drain snake down and back up until you have come up a few times with nothing on it. Now you can move onto cleaning the drain surface area and down into the pipes. ​​​There is always a hanging question on whether you should use natural cleaners or if chemical cleaners are best to get the job done. While natural cleaners are safer around the home and in your septic pipes, it really comes down to which type of cleaner you prefer when cleaning your shower floor and drain. ​​​The best thing about natural cleaners is how safe they are to use around children and pets. There are no toxic fumes that can irritate small lungs. Nor is there a great risk if it is ingested by accident. Vinegar is one of the best natural cleaning products for your shower. This is because it is safe on your pipes and septic system while being acidic and tough on soap scum and grime. It's acidic properties is great for cleaning many other household items such as floors and carpet. When paired with baking soda, white vinegar powers through these common shower stains and restores its brightness. Baking soda, like vinegar, is also a great multi-acting ingredient and is also good for softer materials such as linens and wool. To clean your drain with baking soda and vinegar follow these steps. Liberally sprinkle baking soda down into and around the drain area. You can dry scrub some of the baking soda around the drain area with a wash cloth or scrub brush to help agitate the stains. Pour pure white vinegar over the baking soda, down into the drain and around the opening. Quickly drop a washcloth over the drain to force the foaming to travel down instead of up. Let the cleaner work for fifteen minutes. Remove the washcloth and use it to wipe around the drain area. Rinse the floor and drain area with cool water. This simple, and probably already around the house, cleaning combo is a must try. You will see how easy and safe it is to clean with. You can use the same solution in other areas of your bathroom, like your shower doors and bathroom sinks. Once of the most relied on bathroom cleaners is CLR. This is because it cuts through calcium, lime, and rust buildup like it was nothing. Rust can happen in even some of the cleanest showers. This is because rust develops when water is left sitting around metal. You may want to wear a face mask and latex gloves around this chemical to reduce any skin or breathing irritations. Also, make sure the bathroom fan is on or the window is open to well ventilate the area. Spray the cleaner around the drain area and spray a liberal amount down your drain. It is a quick acting formula, so you don’t want to leave it sitting. Scrub the area around your drain and into the top of the pipes, as far in that you can reach. Then go ahead and rinse well with cool water. Allow the water to run down the pipe for a few minutes to make sure it is flushed out and not sitting below the drain opening. Repeat the cleaning process if you still see any stains or grime leftover. Since this is such a limited time cleaner, you can sometimes miss spots you are cleaning. Go over the spot a second time within the time limits to make sure it all comes up. If you leave the CLR cleaner on too long, you run the risk of the cleaner becoming too potent on your surfaces and causing damage. Now that your drain has been emptied and cleaned, you can go ahead and replace the shower drain cover, and clean the entire bathroom. ​​Free from rust and grime, your drain is ready for the new cover. Follow these steps to quickly replace or install a new drain cover in your shower. ​When you are ready, thoroughly dry the drain area so that there isn’t any sitting water around. ​Take out your new drain cover and lay it down. A trick to line up the holes is to use your screw driver tip to push it down into the hole to help with getting it centered. ​Lay the folded washcloth over the drain grate to cover the holes just in case a screw goes rogue. ​Use the screwdriver to insert each screw into the plate until it is secure. ​Use the wash cloth to wipe up around the area. Learning how to replace a shower drain cover is a really easy task. It can be done quickly in a few minutes without the cleaning. However, it is important to take time to clean around and in the drain, so you can keep the risk of clogging to a minimum.